Three parties argue in letters that the U.S. government should allow 70,000 more Mainers to get health coverage as state law dictates, despite the governor's opposition. An advocacy group for low-income Mainers urged the U.S. Centers for Medicare and Medicaid Services on Tuesday to disregard a letter from Gov. Paul LePage asking the agency to reject the state’s plan for expanding Medicaid. “Expanding the Medicaid program is by federal law a step that Maine is entitled to take, and the choice to take that step is now the established law of the state of Maine,” wrote Charles Dingman, an attorney representing Maine Equal Justice Partners, the advocacy group that sued the LePage administration for failing to implement expansion. 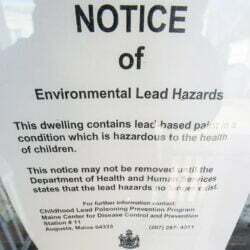 LePage – a staunch opponent of expansion – submitted a plan, called a State Plan Amendment, in September to the federal agency after he was ordered by a court to do so, but at the same time he asked the federal government to reject the plan. 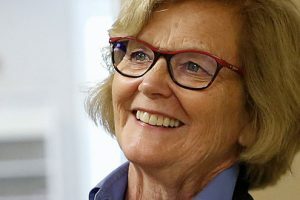 Rep. Chellie Pingree of Maine, D-1st District, and Democratic Maine House Speaker Sara Gideon also submitted similar letters this week asking the federal agency to approve an expansion that would make about 70,000 Mainers newly eligible for free health insurance. The Maine Department of Health and Human Services, after being forced to do so by the courts, filed a State Plan Amendment with Medicaid on Sept. 4 that was accompanied by a letter from LePage urging the federal agency to reject the application. Medicaid is a federal program operated by the states under federal oversight, and is funded with a blend of state and federal money. Under Medicaid expansion, a key component of the Affordable Care Act, the federal government pays 90 percent of the costs of expansion. Thirty-four states, including Maine, have expanded Medicaid. Mainers earning up to 138 percent of the federal poverty level, or $34,638 for a family of three and $16,753 for a single person, would be eligible. About 273,000 Maine residents are already covered by Medicaid. Mainers voted to approve Medicaid expansion by a 59 percent to 41 percent margin in November 2017, but the LePage administration has so far been unwilling to implement it. Merrill said that even if the federal government approves the plan, the LePage administration may still refuse to implement the expansion. Getting Medicaid implemented may require a court order, or if enough time has passed, the issue will fall to the new governor, she said. Democrat Janet Mills, Maine’s attorney general, Republican businessman Shawn Moody and independents Terry Hayes, the state treasurer, and businessman Alan Caron are running in the November election to succeed LePage. Mills, Hayes and Caron have committed to implementing the expansion, while Moody has not. In August, the Maine Supreme Judicial Court ordered LePage to submit the plan, and referred most other matters to a lower court, the Superior Court. 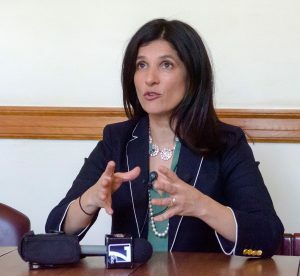 Speaker of the House Sara Gideon, D-Freeport, submitted a letter this week asking the federal government to approve Medicaid expansion in Maine. 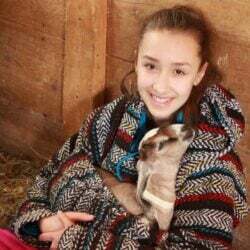 But a letter from Gideon and state Rep. Drew Gattine, D-Westbrook, said the money is available for the expansion, even though LePage vetoed the funding bill, because of surpluses in the state budget. “Maine does have ample funds to meet its legal obligations to expand MaineCare (the state’s name for Medicaid) to over 70,000 Mainers who need health care and who are entitled to receive it under the law,” said the letter signed by Gideon and Westbrook. Pingree’s letter this week also urged the Centers for Medicare and Medicaid Services to approve the amendment. 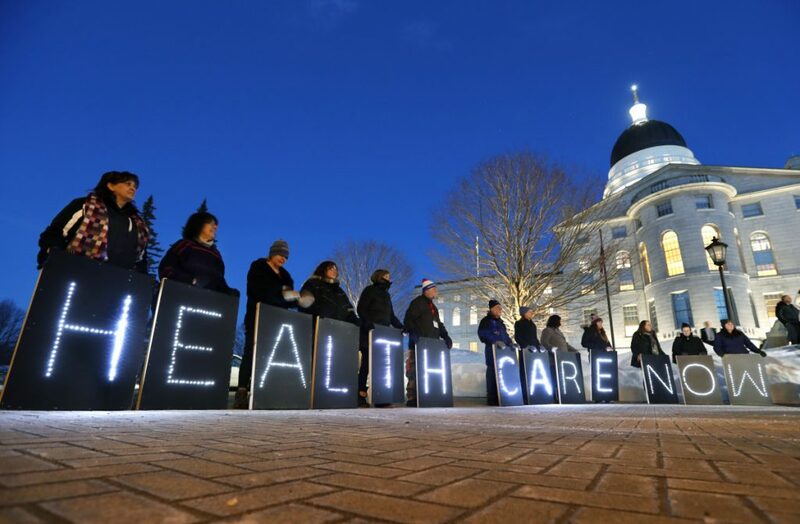 “It is clear that the choice of Maine’s citizens to ensure that more low-income people have access to health coverage has been lawfully made, notwithstanding the political motivations of Maine’s governor to the contrary. 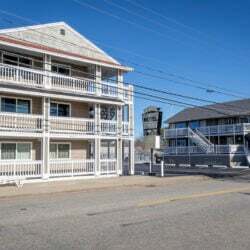 Accordingly, the governor’s statement accompanying the SPA should be disregarded in its entirety,” Pingree wrote. Some Mainers have applied for Medicaid under the expansion and have been denied, and Maine Equal Justice Partners argues that by law, they were eligible for Medicaid starting on July 2. It’s unknown how many have applied even though the LePage administration refuses to implement the expansion. Merrill said about 800 have used an online screening tool set up by Maine Equal Justice Partners to help determine eligibility, but it’s not known how many of the 800 applied for Medicaid. When asked Tuesday about the number of people who have tried to sign up, Maine DHHS spokeswoman Emily Spencer said she could not comment because of the pending lawsuit.